I just love the connection with the camera and the little tongue doing its business! This was another favorite from this litter of kittens as well. Totally unposed – I was working downstairs when my son called and told me to come up and bring my camera. This never happens. So I just went with it. And I’m glad I did. 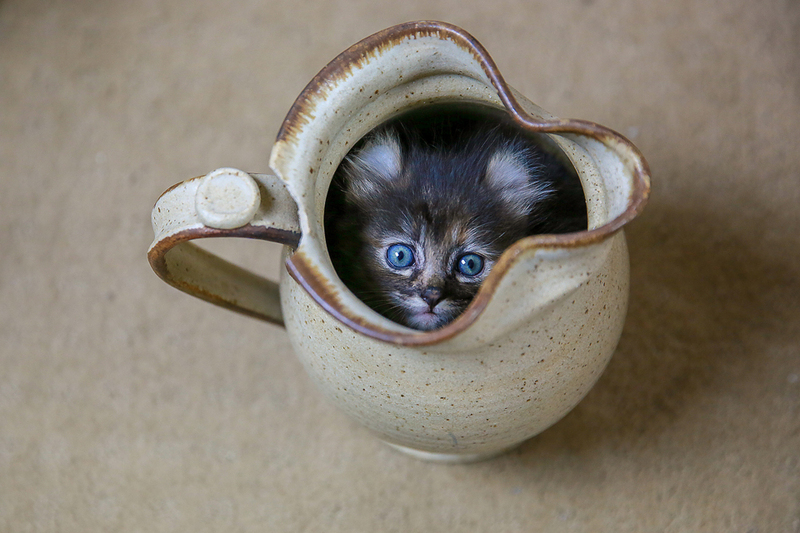 Because this adorable kitten, Piper, had climbed all on her own into this little pitcher I had sitting on my floor. My camera and I arrived just in time to snap this shot of her looking up, as if to ask us to help her out (which I did as soon as I captured the moment). 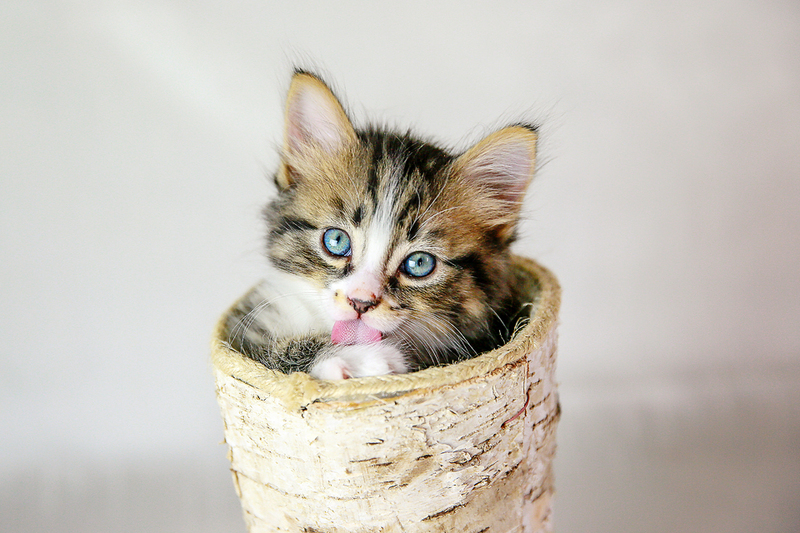 Head on over to the iheartfaces page to see some more adorable pet images! And to see some more fun captures of puppies and kittens, head on over to my new pet gallery HERE!